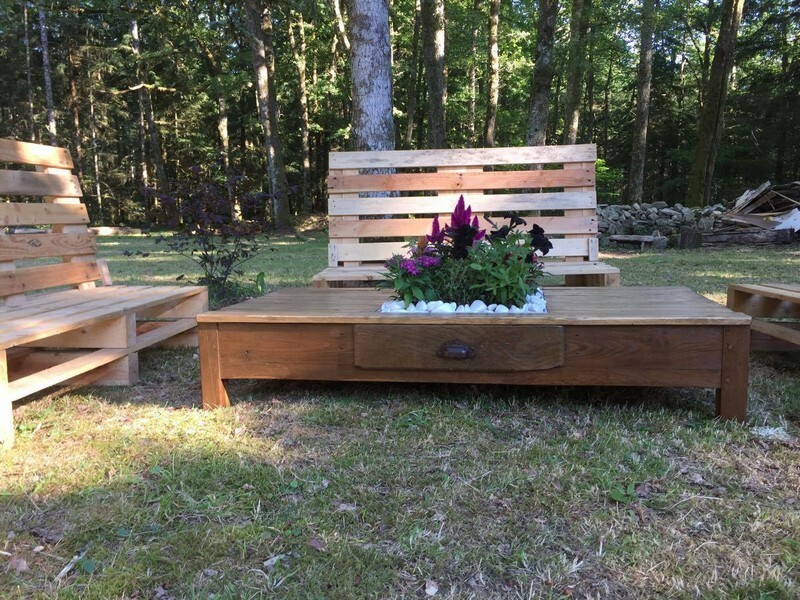 Right in the course of the pallet wood recycling we have developed a certain difference among the wooden pallet furniture items that are meant to be used indoor and those which are supposed to be used and placed and outdoor. 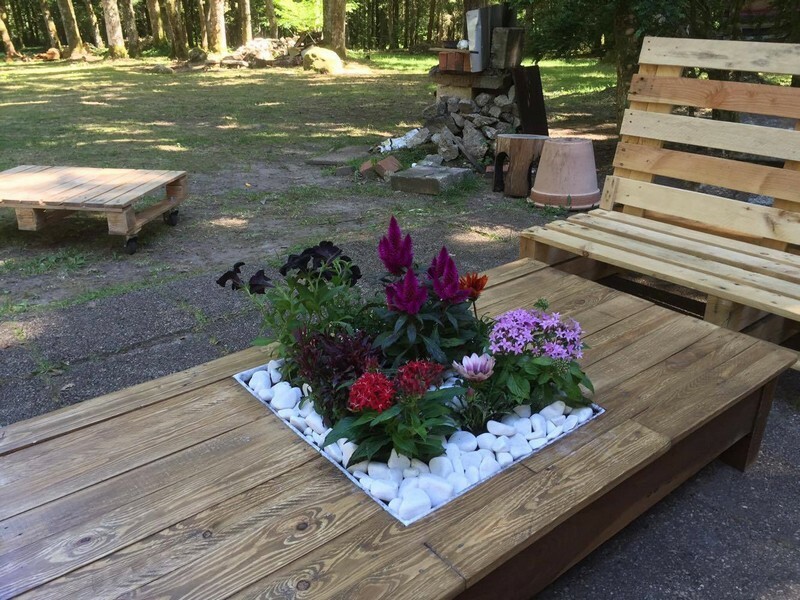 So we also treat them accordingly like mostly the wood pallet furniture items for the outdoor are more raw and rustic and ones for the indoor are much groomed and polished wholly. 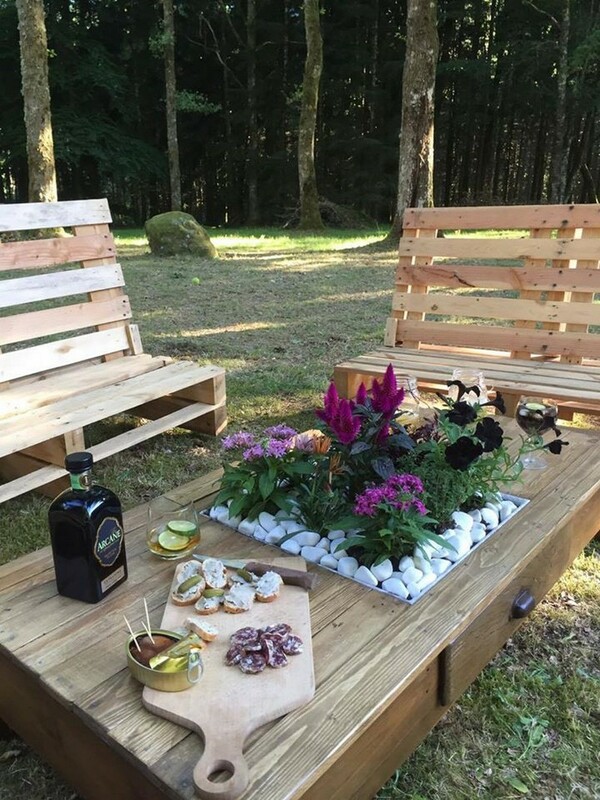 Same is the case with this outdoor wooden pallet furniture that we are presenting here today. This outdoor furniture is going to be raw and rustic. As this was supposed to be a raw wood pallet furniture still we had to take some measures to maintain its beauty despite of all the flaws in the pallet wood and deprivation from the proper staining. So we spared some built in space to create this mesmerizing planter. This classic table is a not a mere wooden article that is just placed there complimentary to support the wood pallet couches, but it has got certain features that cannot be denied like a drawer that we can see on the front. That is ofcourse of the great use. 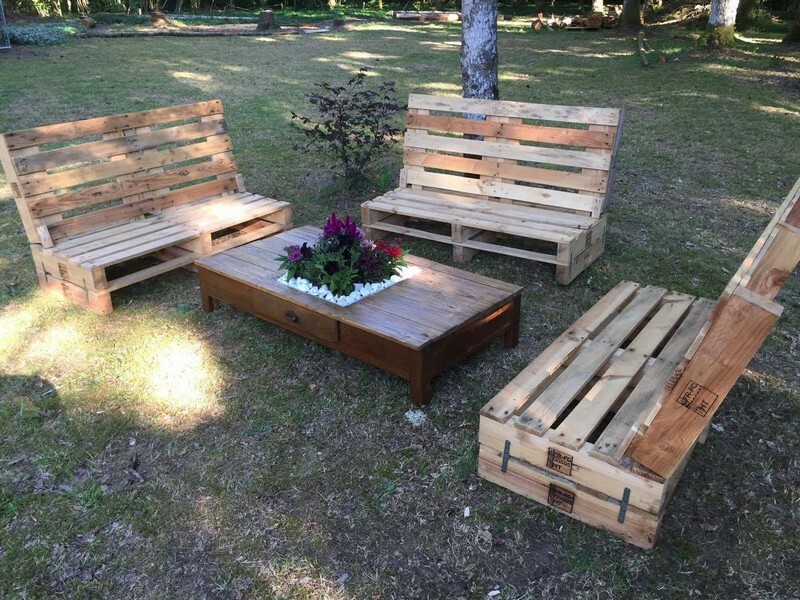 And this is a complete outlook of this wooden pallet outdoor furniture range. Two similar pallet wood couches are kept quite rustic, we didn’t even bother to sand them properly. Just the texture was smoothened up with a sand paper. Well, to make this planter in the middle we had to grab a bunch of round stones and stain them with white shade. Then we used some green stuff for the foliage and ofcourse our favorite annuals that were already present in the garden, may be best for this creation. Whoever comes and sit here would be totally relieved from worldly affairs for a little while being lost in the serenity of the entire atmosphere.